On Saturday, two friends and myself traveled north to Candle Lake, in the hopes of finding some more Owls. Unfortunately, this time, we were out of luck. I think we were very fortunate back in December when they were more numerous. Of course, we still had a fantastic day of birding and notched up 19 species when we were all done. 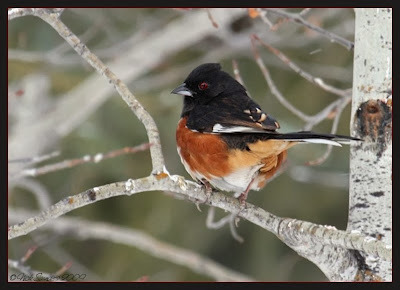 The highlights were many, but most notable was an Eastern Towhee that we had heard all about over the Christmas period, but did not get to see while we were there at that time. This bird is another fine example of migration gone slightly awry as it should not be in Saskatchewan at all right now ! 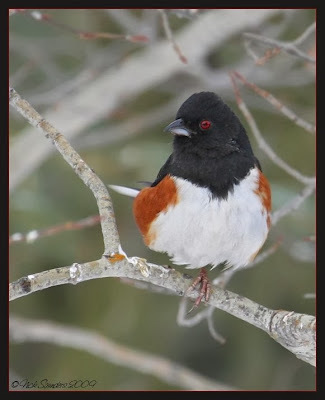 Of course, we are so used to seeing the Spotted Towhee in our part of the Province, so this is a nice surprise. For a couple of months, it has been visiting a front yard feeder and will often fly in to feed on sunflower seeds when the other birds give it some room. The other big bird of the day, was a male Varied Thrush that flew like a missile past the window of our vehicle which we then relocated perched high in the dark boughs of a spruce tree. 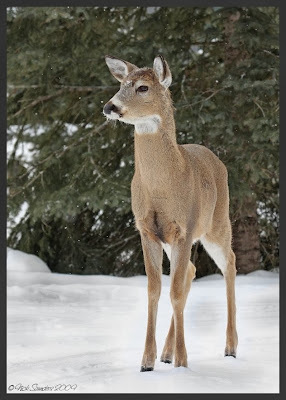 While not completely unusual, this is not something you see every year this far north and was another welcome addition to our winter/year lists. Again, we have to thank the fine hospitality of the property owners who allowed us into their homes and yards in order to see these excellent birds. Every time I see your photos - I think I need a bigger lens! Or lessons! LOL! 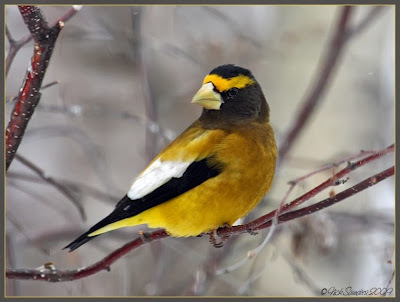 The grosbeaks were amazing! Shelly, you are very kind. That's a collection of beautiful birds. How wonderful Nick! Great, great shots of them all! Nick all these pictures are great I dont have a favorite I like all of them great work ! 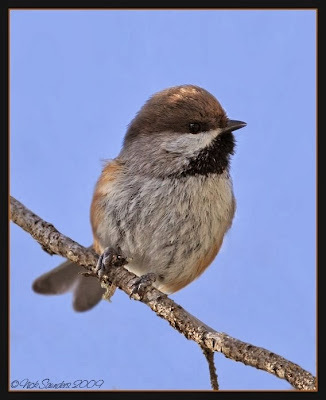 The Boreal Chickadee is so cute!! I love the your photos. You get some wonderful birds with such color. 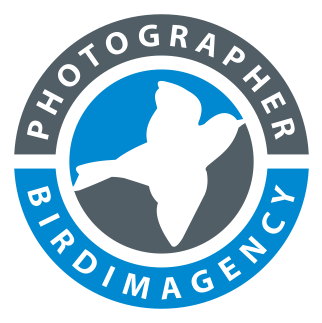 Nick, these are, of course, all very wonderful - I particularly love the little boreal chickadee, as I've never seen one. 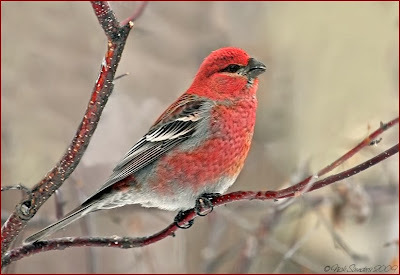 Blundered onto your blog via Google image search for common redpolls. Your pics are fantastic! They really show the beauty of even the more common species- which of course are no less beautiful because they're common, we just sometimes need reminded! Keep up the great work. WOW...what variety !!! Beautiful series Nick. And that Boreal Chickadee is my favorite.